In the months since the AOPA Foundation’s Air Safety Institute launched its new online flight instructor refresher course in July, flight instructors have expressed their appreciation for the eFIRC’s course quality, convenience, electronic device compatibility, and the capacity to be an entirely paperless experience from signup to completion. CFIs have long had many choices for how to renew their instructor certificates every 24 calendar months. No solution was perfect, with time, travel, or cost as potential constraints. Even online refresher courses have had an inconvenient string attached: A certificate holder still had to secure notarization of the paperwork proving course completion before sending it off for the reissue of the instructor’s certificate. CFIs who took the eFIRC are telling the Air Safety Institute that they place a high value on their new ability to navigate the certificate-reissuance process electronically, said Kristine Hartzell, the Air Safety Institute’s chief flight instructor and director of flight training. The eFIRC uses the FAA’s Integrated Airman Certification and Rating Application (IACRA) system to complete the certificate reissuance electronically. To date, several thousand flight instructors have renewed through the new eFIRC, with many emailing Hartzell to express their strong satisfaction with the innovative $124 program, she said. Another technological edge instructors say they like is the eFIRC’s compatibility with iPads and other tablet computers. That capability of the eFIRC makes it possible to work on certificate renewal wherever Internet access is available. Customization of the curriculum has proven popular and beneficial. In addition to the 10 core courses required by the FAA for flight instructor refresher courses, CFIs can choose six elective lessons—as appropriate for their own unique brand of instructing—for their own eFIRC. Each lesson runs approximately an hour, and is followed by a 10-question quiz. The lessons include engaging videos that expand on the subject matter covered. The eFIRC was designed in recognition of the idea that having more time available to accomplish refresher training makes for both a more productive and convenient renewal process. A unique feature of the eFIRC is its ability to leverage the Air Safety Institute’s broad selection of educational products to make certificate renewal more efficient. If a CFI has taken an eligible online safety course within the 24 months prior to the flight instructor certificate’s expiration date, the course counts toward the eFIRC requirements, Hartzell said. In comments offered after completion of their eFIRCs, instructors said they found the Air Safety Institute’s top-grade educational products, unique videos, and the eFIRC’s innovative design and technological capabilities an unbeatable combination. "Over the course of nearly 30 years, I’ve used different methods to renew my CFI certificate. For my most recent renewal, I decided to use the AOPA eFIRC system. The decision was made because of the known high quality of AOPA training," said Rodney Ennis. "Additionally, the price was very reasonable, especially when offered the chance to complete the entire process online. I found the training to be exemplary. Completed on my own pace, I was able to focus on the areas that needed more emphasis. I wholeheartedly recommend this course for CFI renewal." 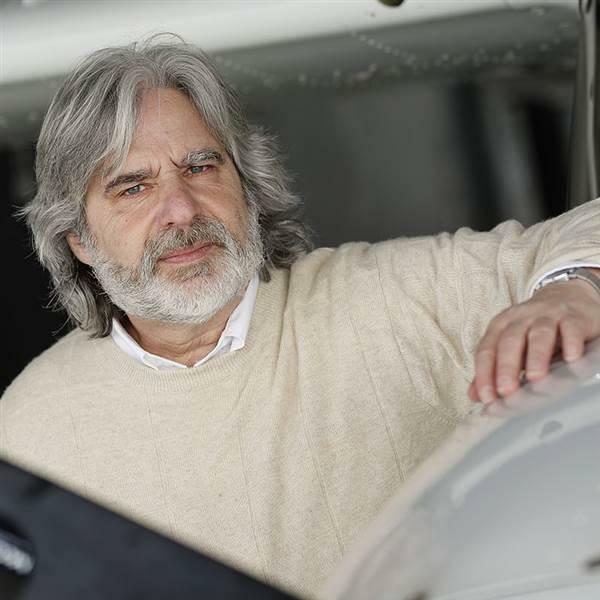 Instructor Roger Fernandez has been "a Gold Seal CFI CFII MEI ATP since 1985." The former airline pilot, who today flies executive jets, will continue to renew his flight instructor certificate through eFIRC "because I believe that eFIRC is the best renewal course out there," he wrote. "Excellent course," noted flight instructor Hans Peukert. "I really enjoyed it as I am renewing out of Germany. Simple and straightforward process." The eFIRC "has been a very user friendly and affordable option for a Flight Instructor Renewal Course. AOPA's eFIRC is rich in useful information," wrote instructor Christopher Africa. “In addition, it has practical and real-world-applicable quiz questions and scenarios.” He said he would recommend the eFIRC to any flight instructor, “currently flying or not." To instructor Guy Dayhoff, "It is the best program out there hands down, especially for us working folks. I really enjoyed the course. It was full of new information and a lot easier to navigate than the old renewal process. Great job."